Boston Onward Israel in Jerusalem is an immersive internship program offering resume building placements in a wide variety of opportunities in the greater Jerusalem area, the hub of Israel’s governmental life and its capital. This Onward Israel program is operated through a partnership between the Beacon and Shapira Foundations and other lead philanthropists, Masa Israel Journey and CJP of Boston and is organized by Israel Experience. Boston Onward Israel in Haifa is a resume-building opportunity in Haifa, the dynamic high tech, business and cultural capital of Israel’s north and Boston’s sister city. Featuring social interactions with Israeli students and young adults from around the world in Haifa’s bustling new port area. 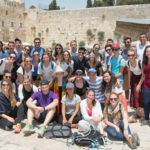 This Onward Israel program is operated through a partnership between the Beacon and Shapira Foundations and other lead philanthropists, Masa Israel Journey and CJP of Boston and is organized by Israel Experience. 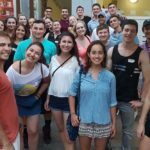 Boston Onward Israel in Tel Aviv is an immersive internship program offering resume building placements in a wide variety of opportunities in Tel Aviv, the cultural and business hub of the Jewish state and her second largest city. 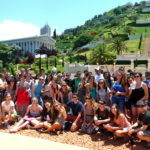 This Onward Israel program is operated through a partnership between the Beacon and Shapira Foundations and other lead philanthropists, Masa Israel Journey and CJP of Boston and is organized by Israel Experience. Due to high demand, applications for Boston Tel Aviv Summer 2019 are now closed.